On Saturday before my show at the Fillin' Station I found a link off Facebook. It was to a radio show on NPR called World Cafe. It is worth a listen! Marty and the boys knock it out live! They sing several tunes including a few gospel tunes. All of the songs are great and Marty's stories are always great. It's 30 minutes long. Take a break, listen and learn what great roots music can sound like. Last January I learned about the first ever Ameripolitan Music Awards. What’s Ameripolitan? More on that later. But I made it a goal to become nominated for Male Vocalist in the Honky Tonk Category for 2015. Well the time has come! All you have to do is email: info@ameripolitan.com and it would be nice if you emailed me at the same time. daveparks23@gmail.com It would be cool to see how many emails are sent as I need as many fans as possible to email ensuring a nomination spot. 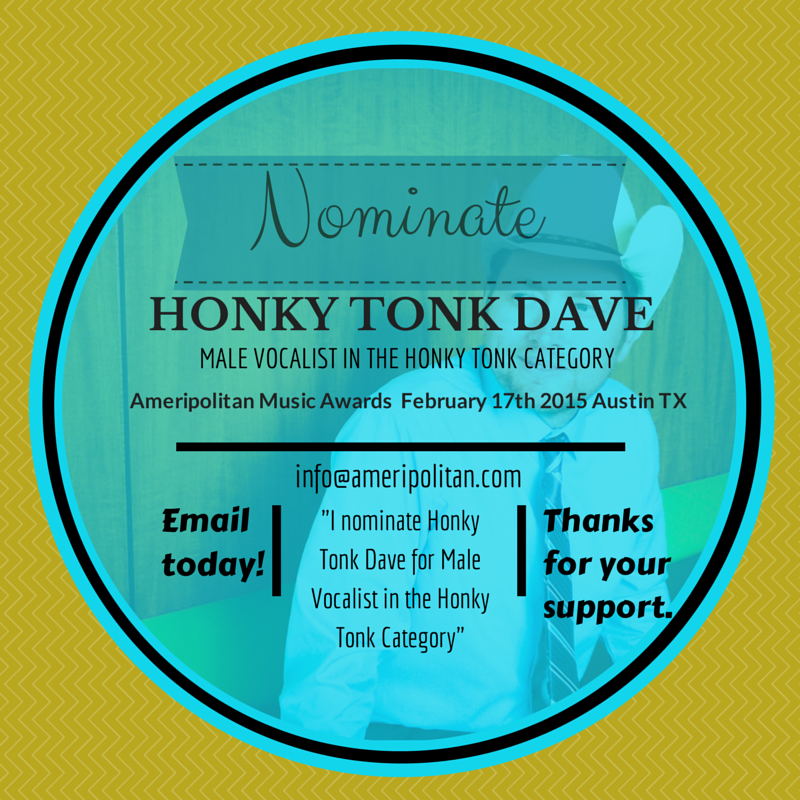 I would like to nominate Honky Tonk Dave for Male Vocalist in the Honky Tonk Category. And that’s it. You nominated me! Thanks! 1. I’m going to Austin Texas!!! 2. I’ll be asking for your vote to win the award! Now more about Ameripolitan music. 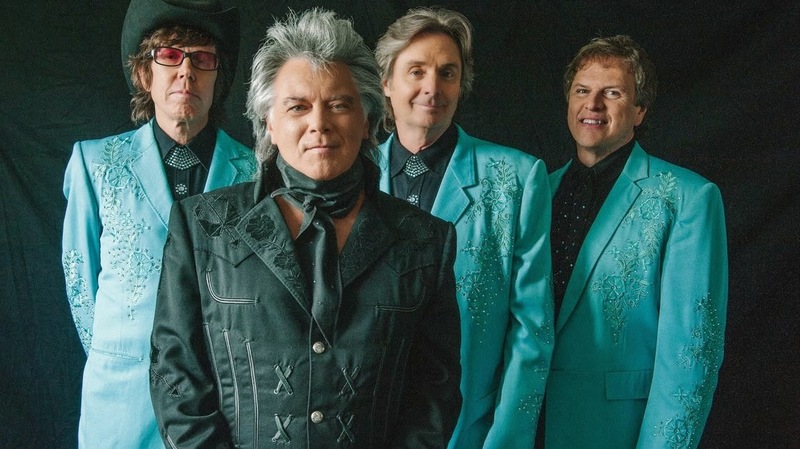 I was so excited to learn that Dale Watson was behind the creation of this group dedicated to the preservation of roots music. Here is an excerpt from their web site explaining why they exist. 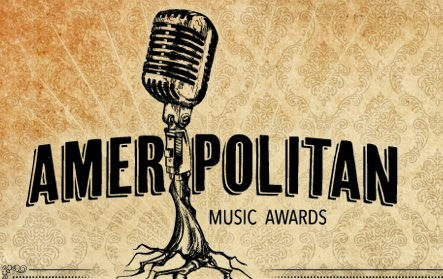 “The Ameripolitan Music Awards have been established to give like-minded individuals an opportunity to come together to celebrate and promote the music we all love. It serves as an event to rally around and we hope that it will be a source of inspiration for artists and fans alike. This music will always survive, but for it to thrive, Artists need to continue to delight their fans with new, exciting music that honors tradition while striving to be original and fans need to make the effort to encourage these artists with their support. If The Ameripolitan Music Awards can help further this relationship, then it will be a success and continue to grow in stature to everyone’s benefit. Country music should never be given a strict definition. Country music has been and always will be accepting of other genres. Country music is as wide as the oceans. But at some point enough is enough. Country radio should not be called "Country Radio." Honky Tonk Dave exists for the preservation of the country music of our fore-father and mothers. This is why I write this post. I want to make sure everyone reading this article knows I love all kinds of music including some "Bro Country." Whew, I can't believe I just wrote that in public... Don't hate me. But I do feel Country Music has no voice left. I hold no ill will toward any artist. They are trying to make a living. Many, are making a good living. I just want to start a discussion for the defense of Country Music. 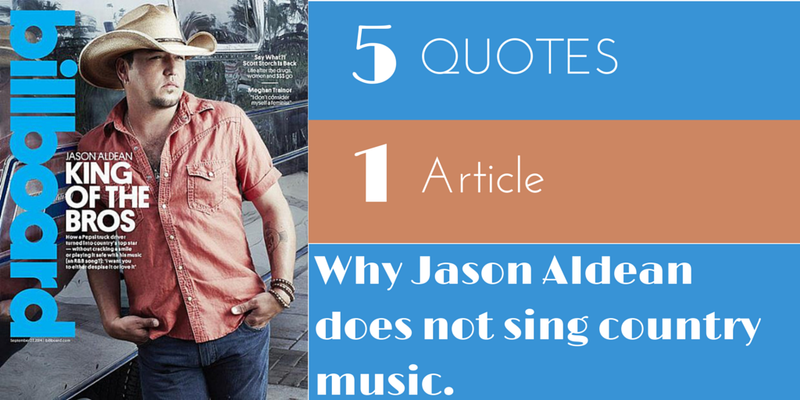 My problem is not with Jason Aldean's music. He makes great music! I listen and enjoy many of his tunes. My problem is the genre where they put this music. It's not country. A couple weeks ago a friend of mine reminded me of a split that occurred in another genre. Jazz and Smooth Jazz. They both have charts on Billboard. Typically lovers of Jazz are not crazy about Smooth Jazz. Great! That means there is more room for more people :) Why can't country do the same. The following are quotes from 1 (ONE) article. The current Billboard cover story located here. The good folks over at the Country Music Hall of Fame have a new exhibit. They are recognizing one of the few artists to stick with traditional sounds in the past 25 years. And funny thing, he's sold 60 million records! I plan to go see this exhibit. They have a list of some of the items that will be on display and definitely want to see his hand written notes on some of the songs he wrote. Notice how we had to barricade ourselves on the porch. The fans were just going crazy. First I want to apologize to my Kickstarter "Backers" I have missed a couple birthday tunes for folks who pledged for that reward. I swore I had put it in my calendar to post on that date but alas I fell short. (Organized Musician = Oxymoron). But I have fulfilled a concert! We did it a couple weeks ago out at Jody Barrett's house. It was a blast! Also here are a few short clips from a show we did a couple weeks ago at the Fillin' Station in Kingston Springs. I do not forget that my Kickstarter family got this thing rollin'. It is so much fun singing this music. Thank you. Got to pick and grin with Jason Jordan, Carco Clave, Will Mandell and Brian Foti last night. Such a great band! Jason has been out on the road with the country group Love and Theft. Luckily he had the night off and was willing to come out and play some REAL country music! Carco plays for Chuck Meade (of BR549 fame) and again we were so lucky to have him. Seriously I am so blessed to play with so many great musicians. 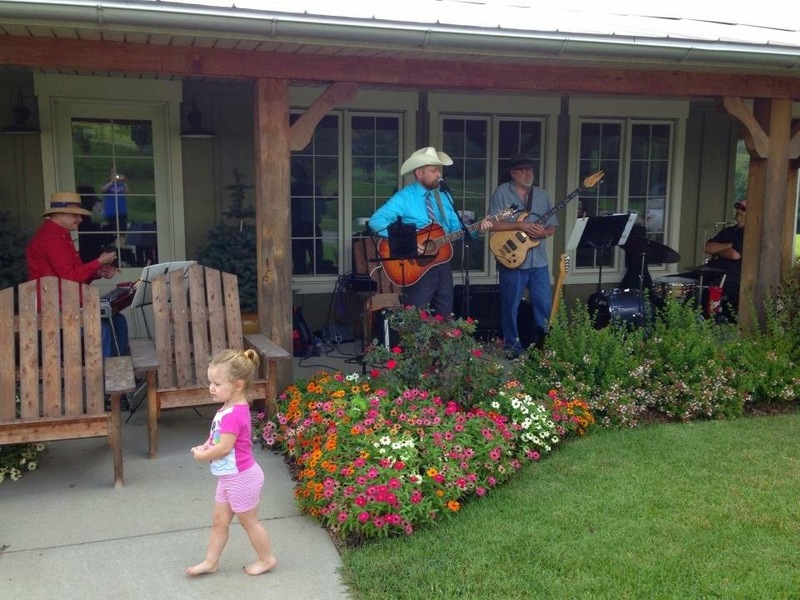 Check out some of the pickin' here!